I would like to welcome you to the “second” happiest place on Earth –Palazzio. I opened our doors in February of 1993 in Montecito, California and expanded into our current downtown State Street location in May of 1998. 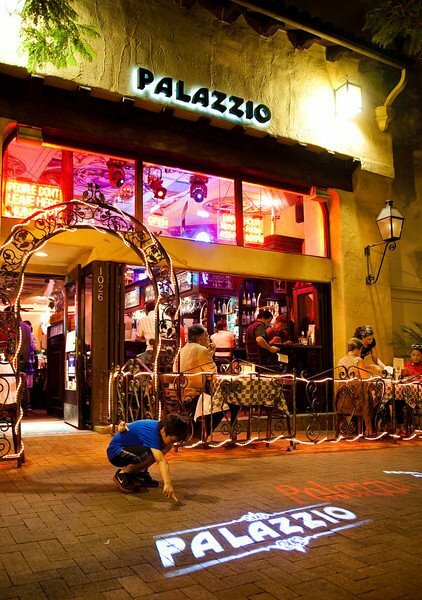 I opened Palazzio with the idea that we wanted to give to Santa Barbara a place where our guests’ would be able to dine in a comfortable atmosphere and have a place where one would perceive a real value from our menu choices. After almost 21 years we have served well over 2 million pounds of pasta and almost the identical amount of Garlic Rolls. Over the years, I am happy to say that we have been fortunate enough to win several awards. It has been pretty consistent that Santa Barbarians have recognized Palazzio as one of their favorite Italian restaurants. We take pride in our work. Our “team” servers are dedicated to see to it that our guest's needs are a priority. Please take a moment and navigate through our website. Let our website work for you.